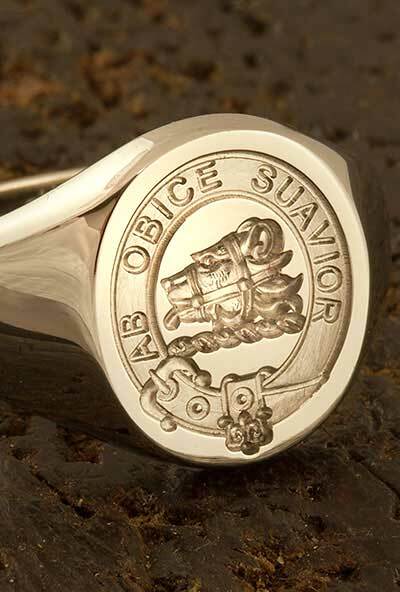 Selection of Scottish clan rings are shown in a variety of sizes and shapes of ring and in one of three engraving styles. 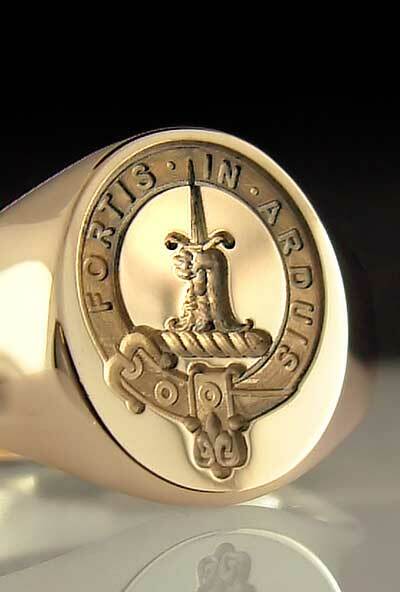 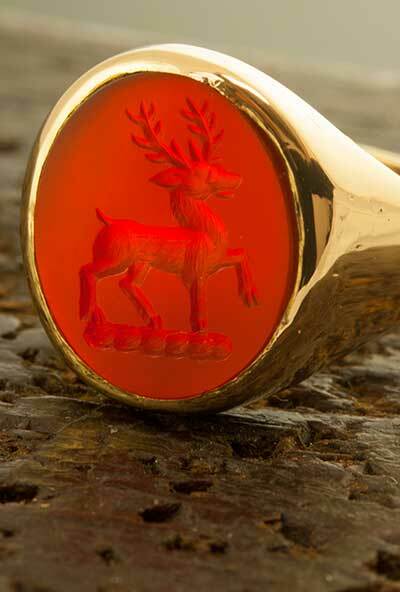 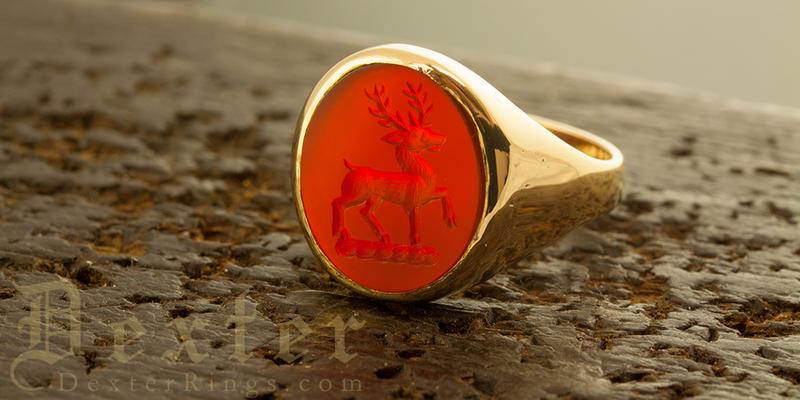 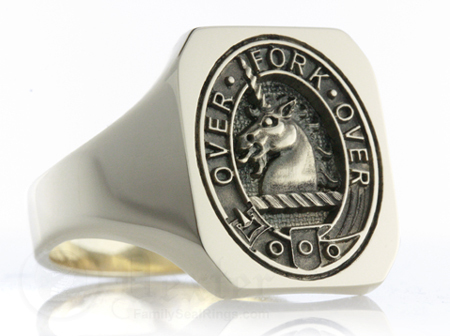 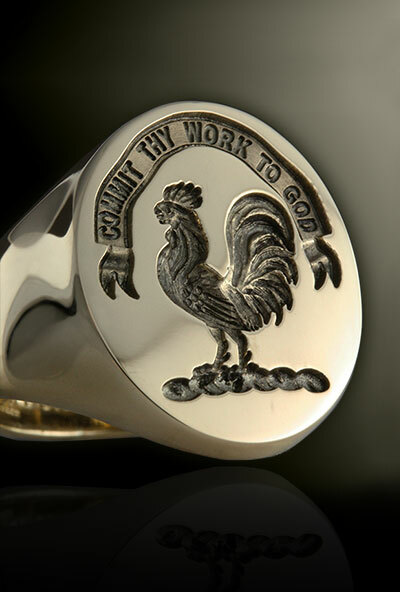 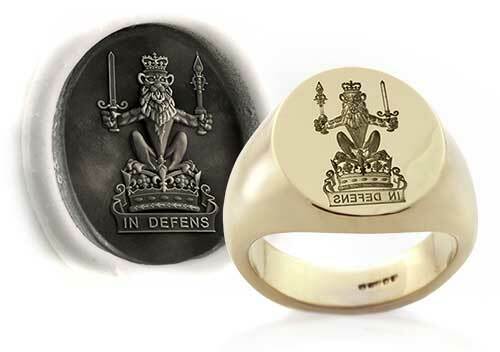 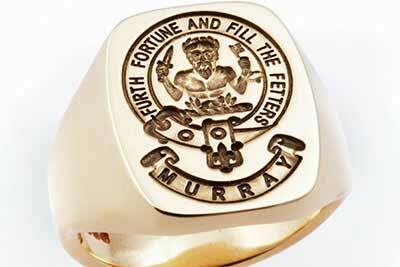 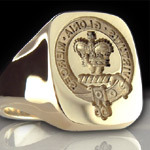 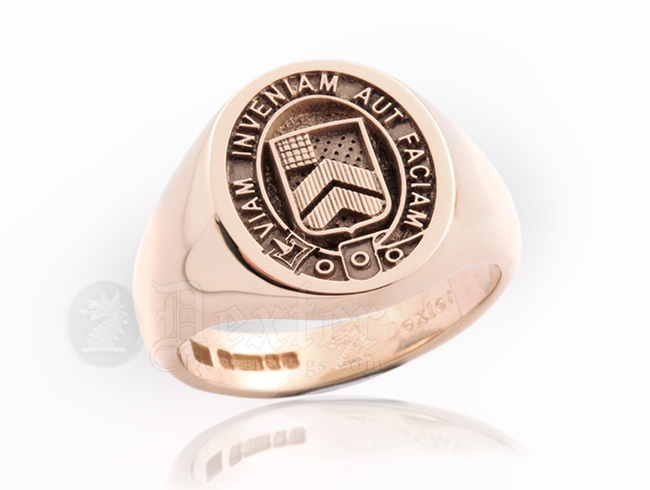 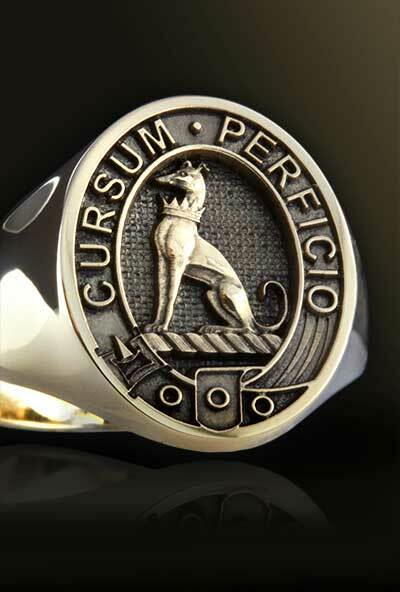 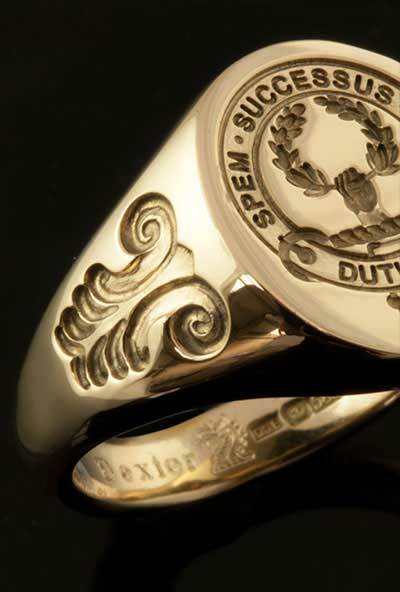 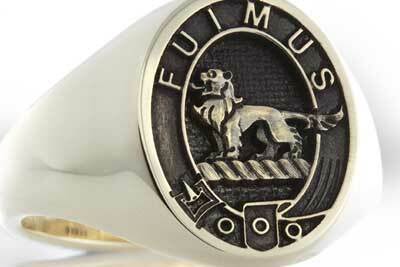 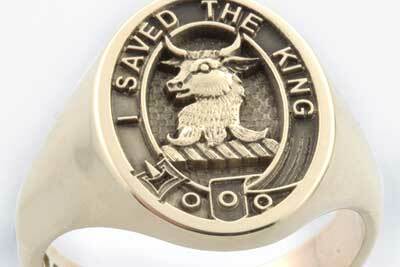 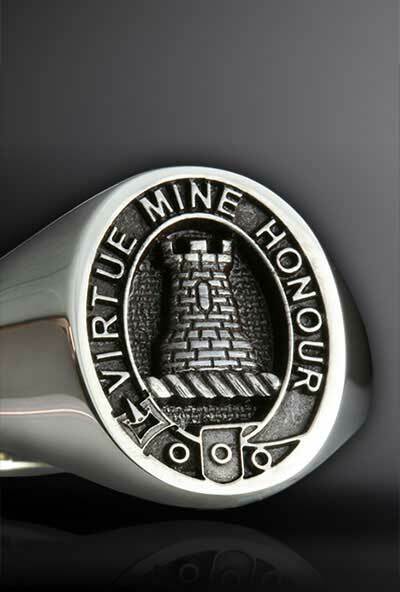 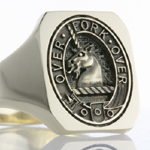 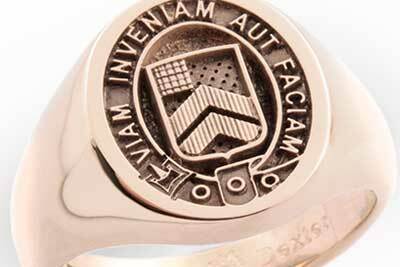 Rings can be engraved ‘for show’ - Clan motto reads correctly on the ring. 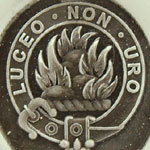 ‘Traditional Seal’ – Reversed for making wax seals in the traditional way. 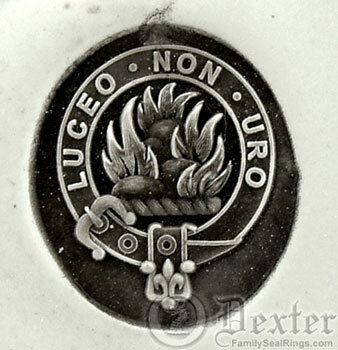 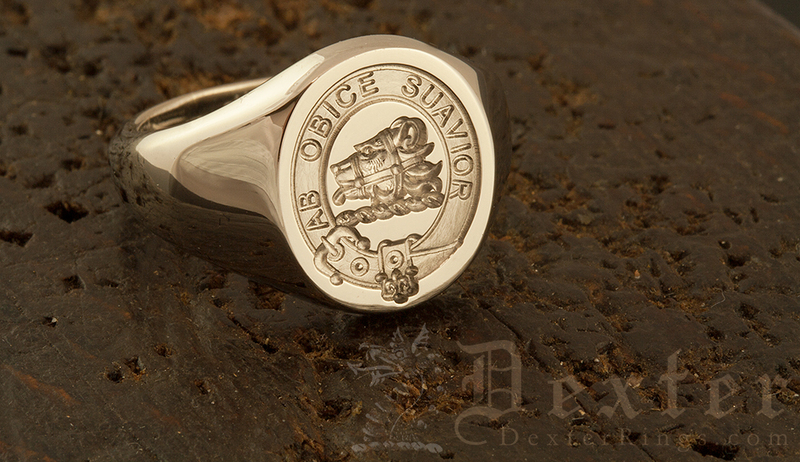 ‘Elevated Style’ Sometimes called relief engraving where key areas of the Clan badge are raised. 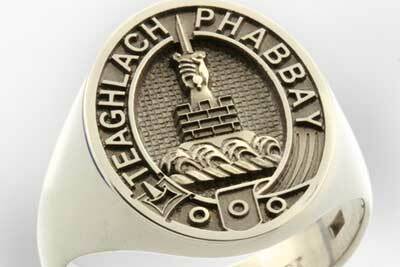 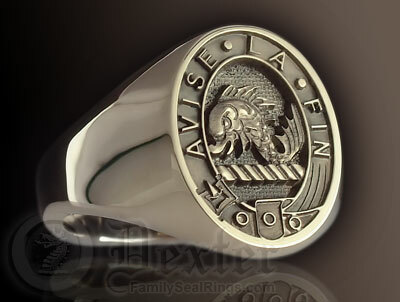 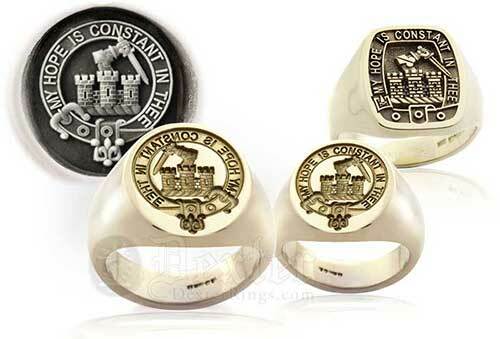 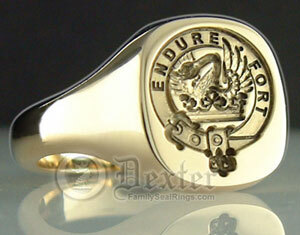 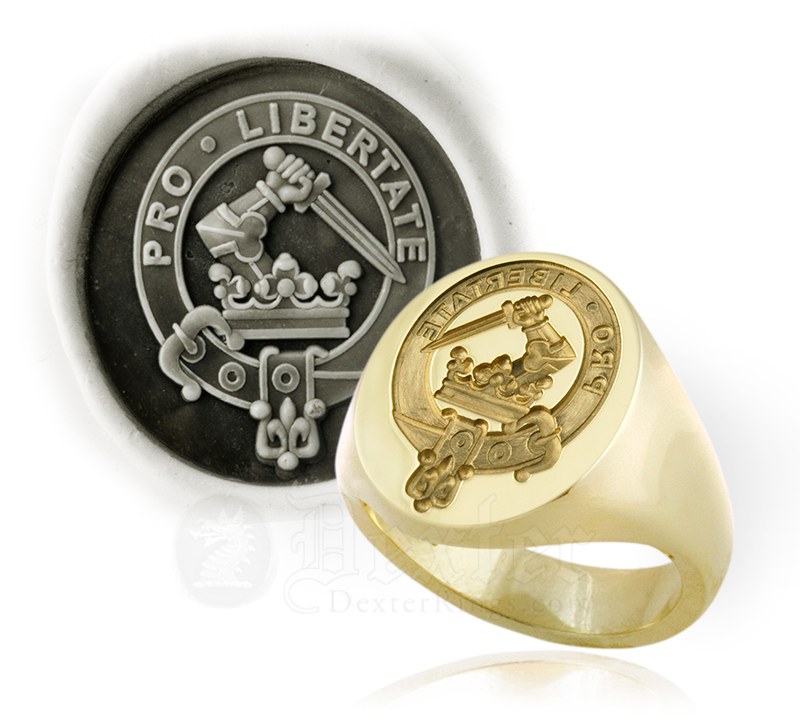 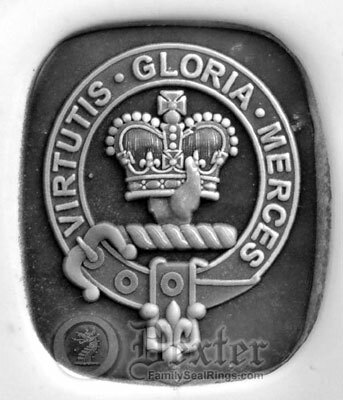 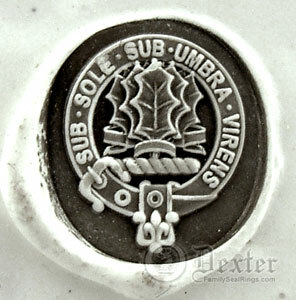 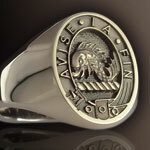 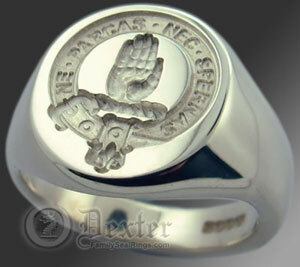 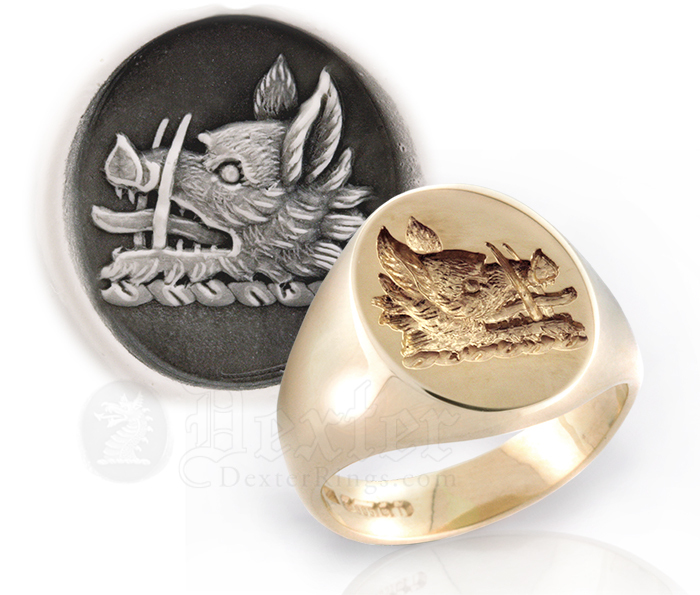 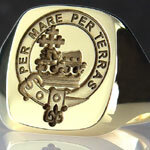 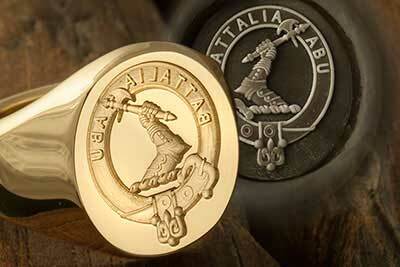 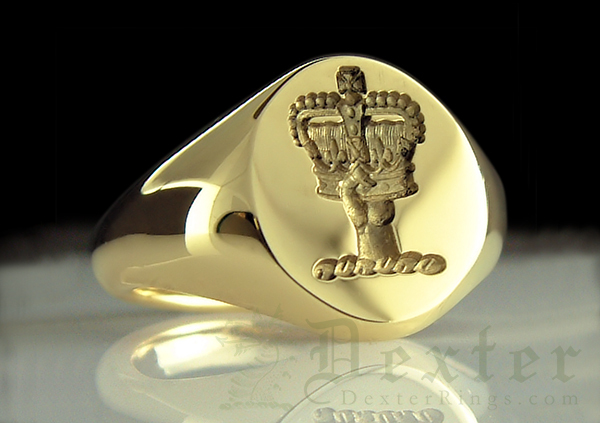 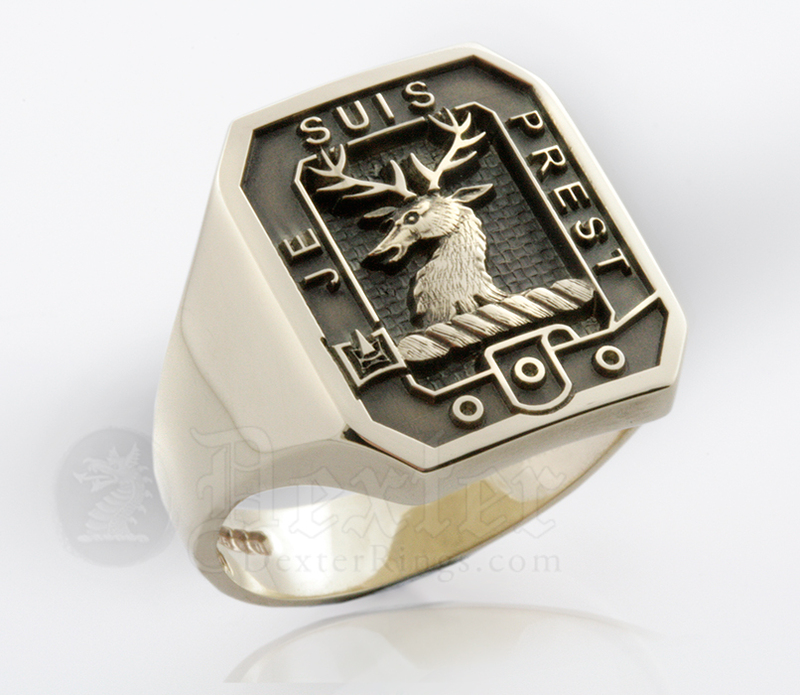 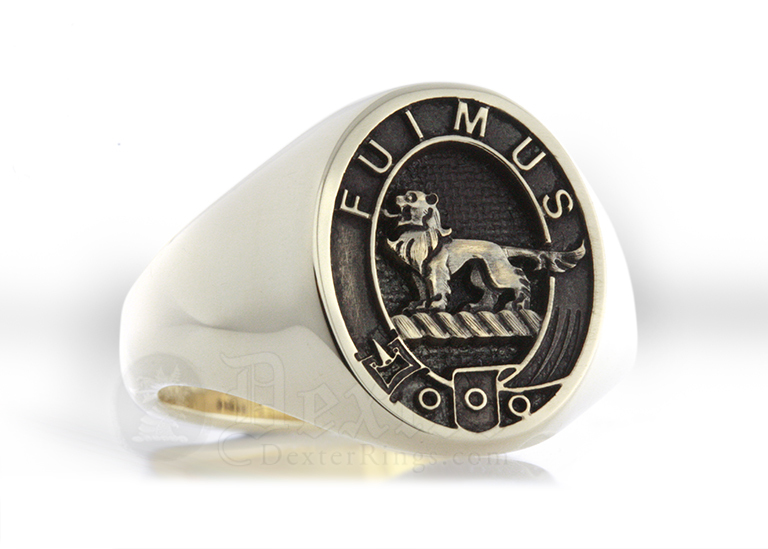 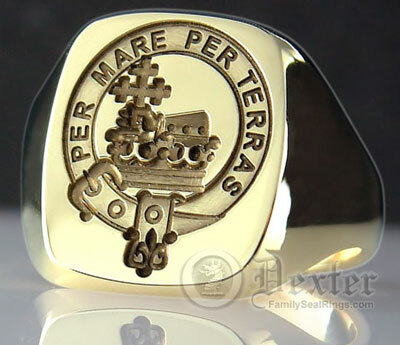 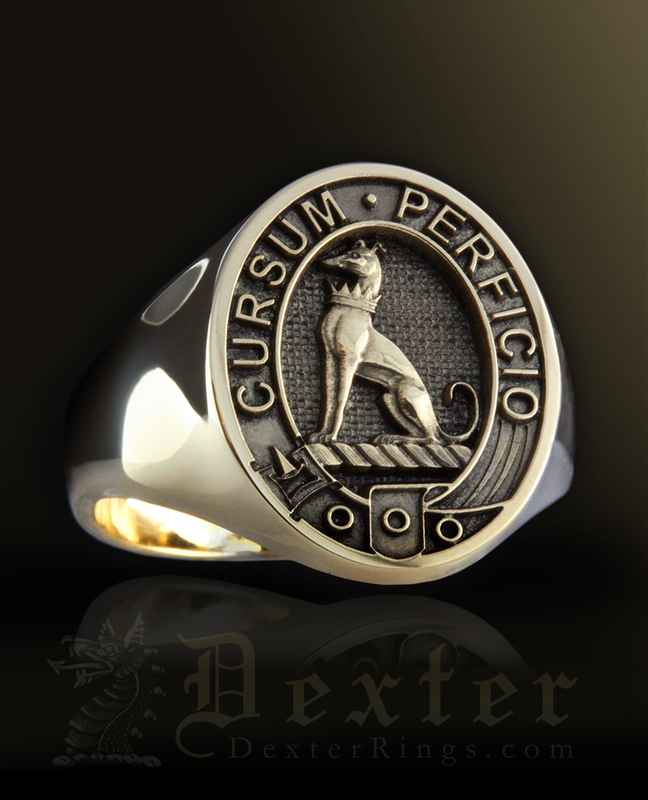 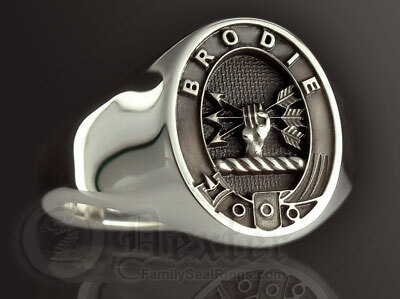 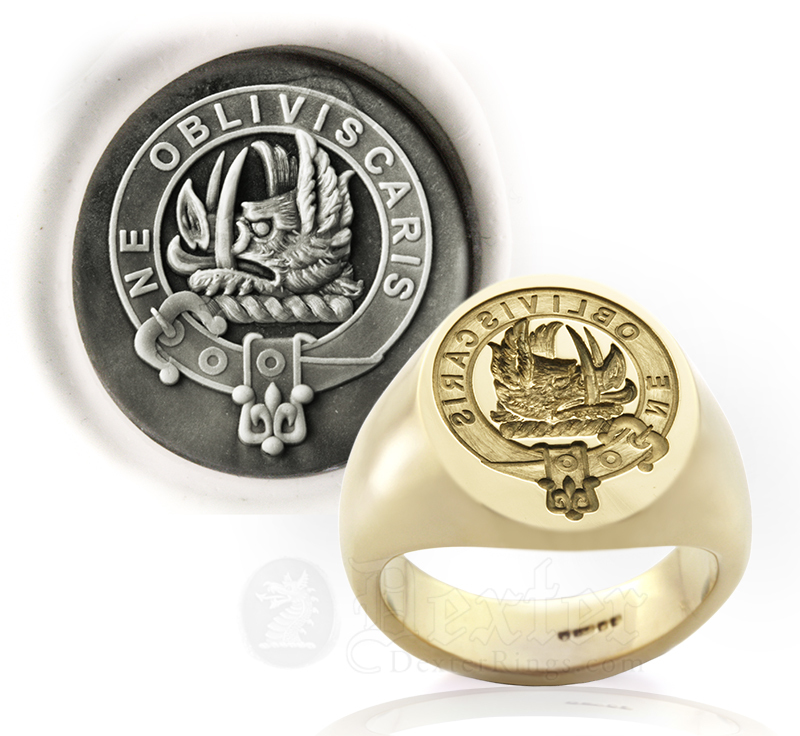 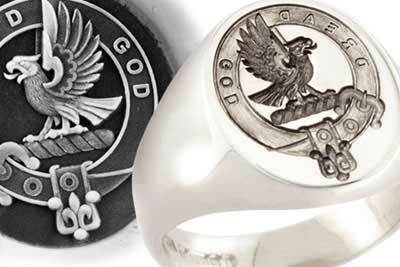 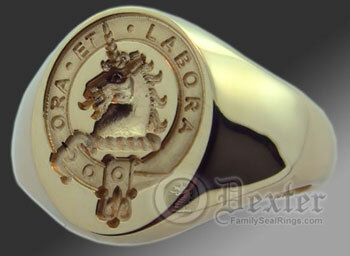 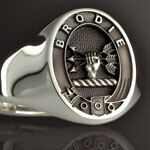 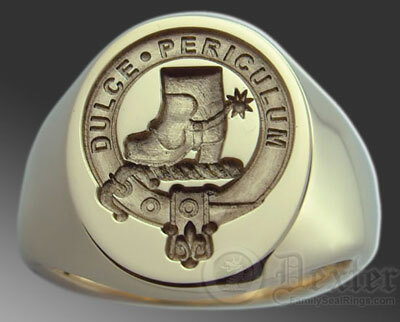 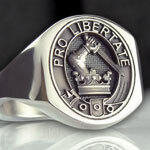 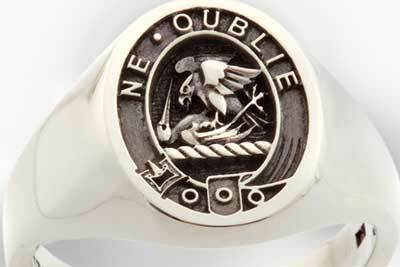 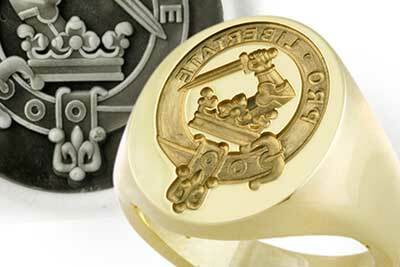 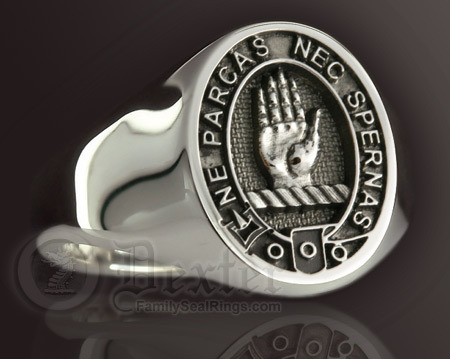 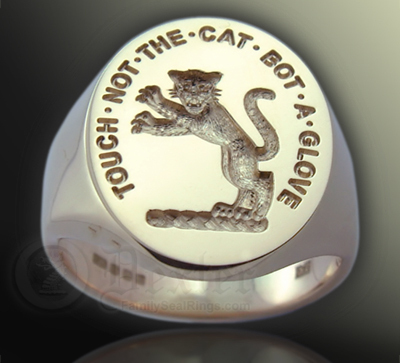 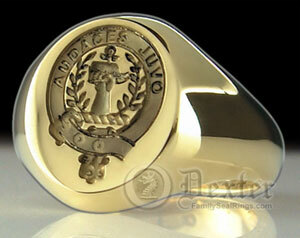 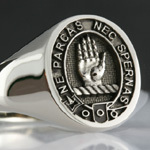 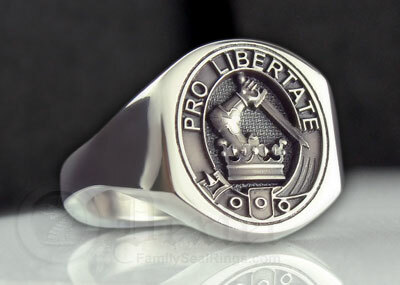 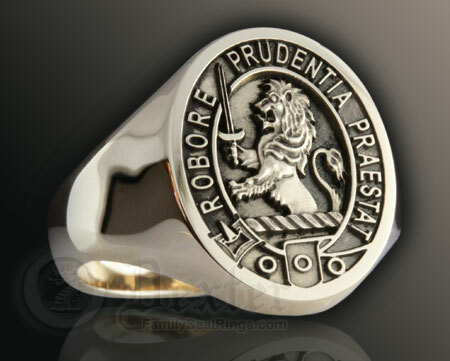 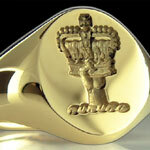 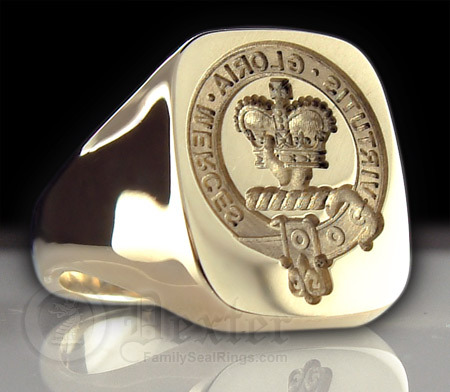 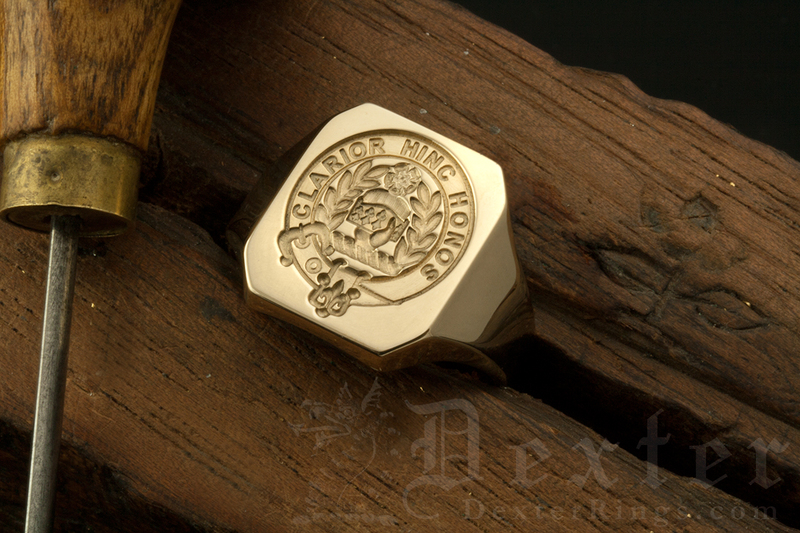 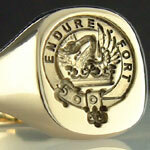 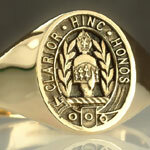 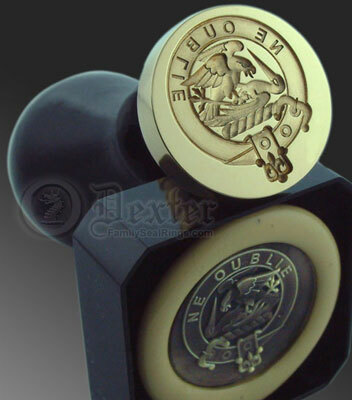 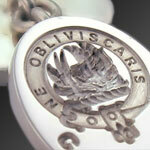 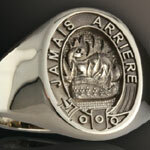 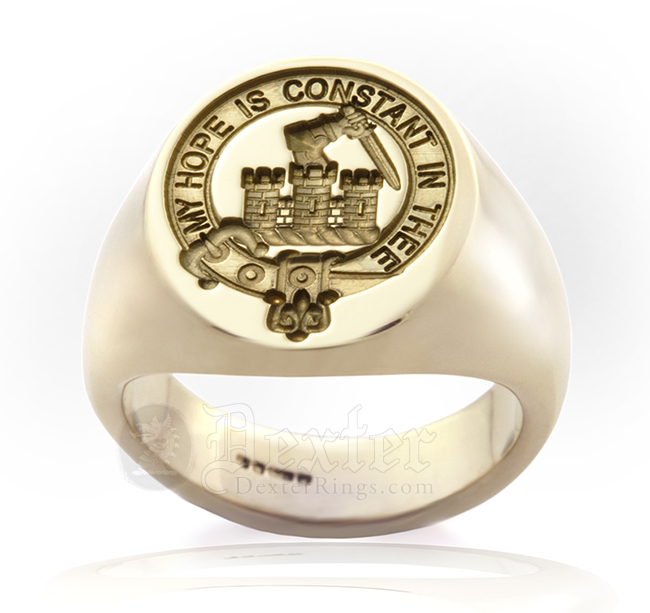 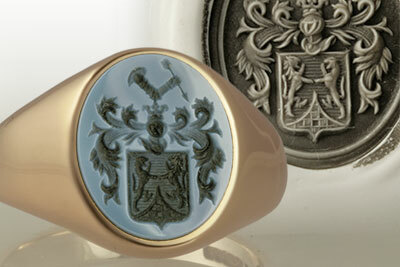 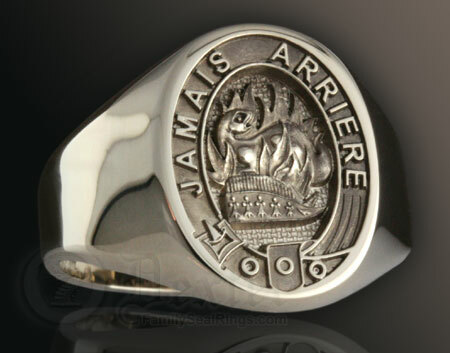 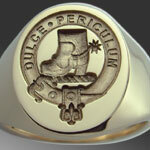 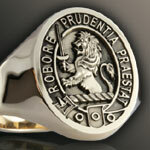 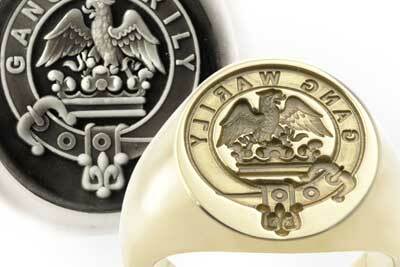 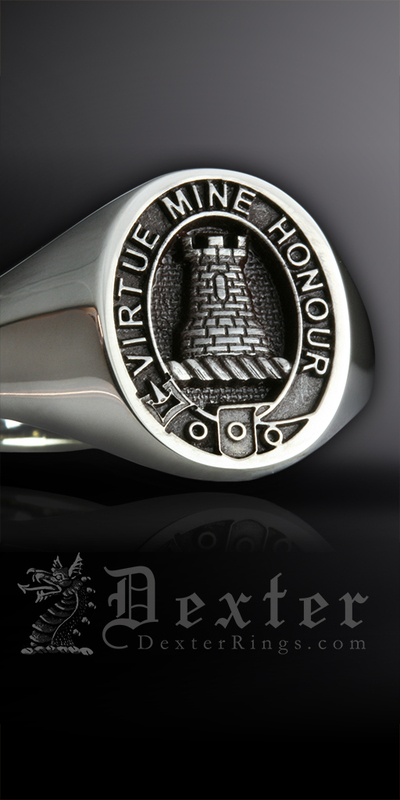 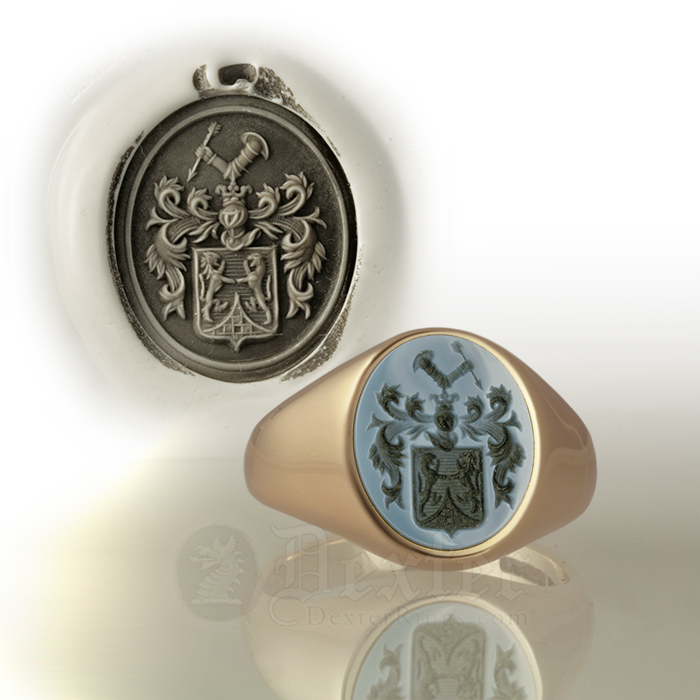 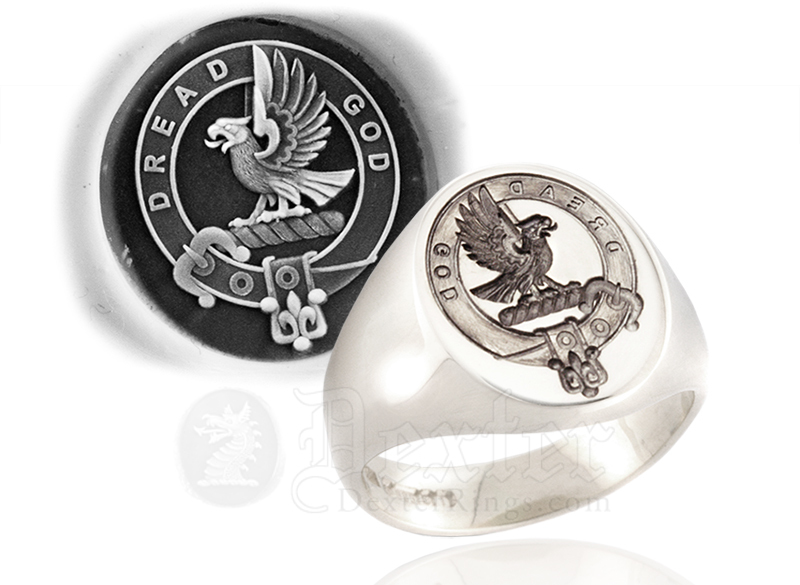 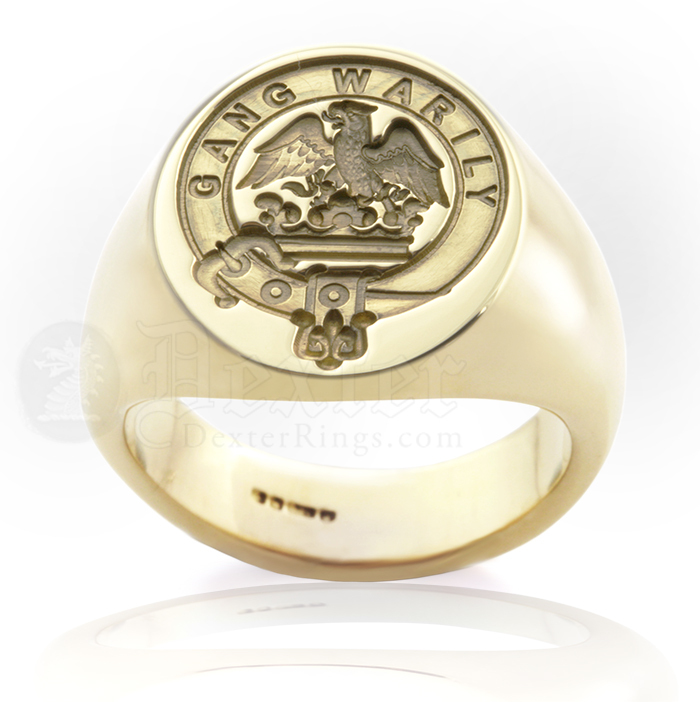 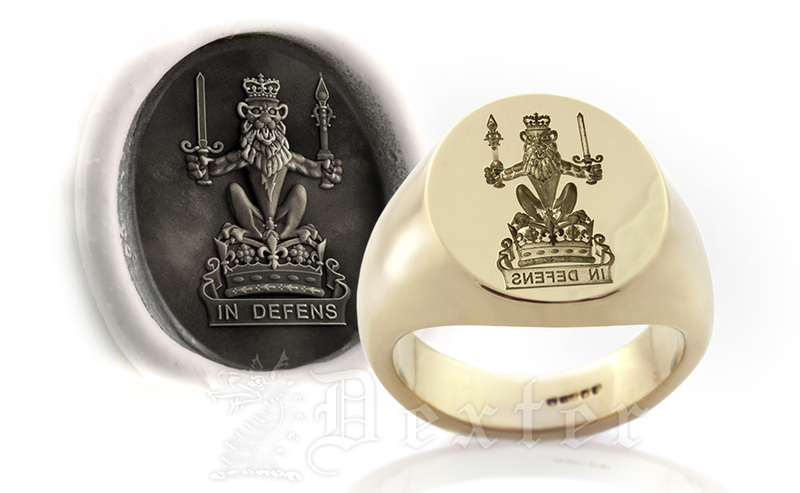 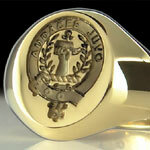 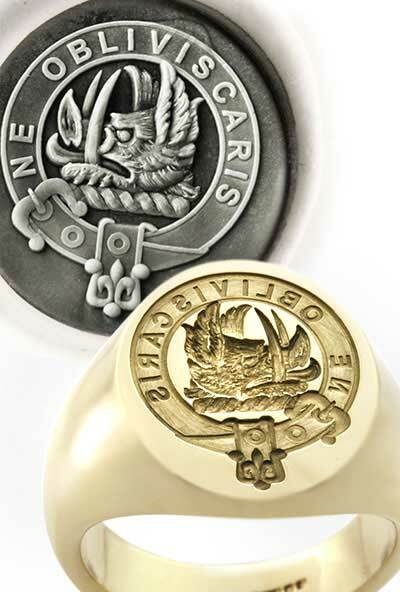 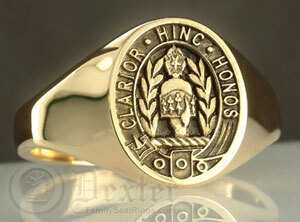 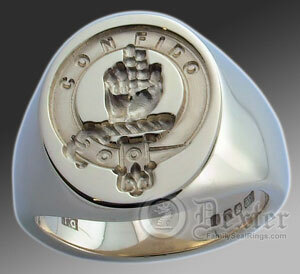 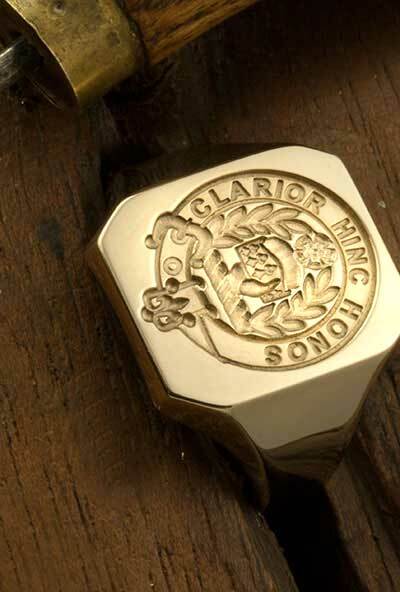 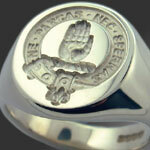 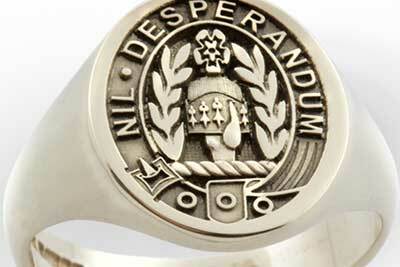 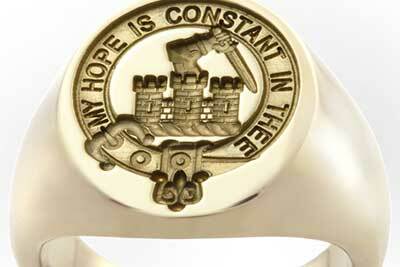 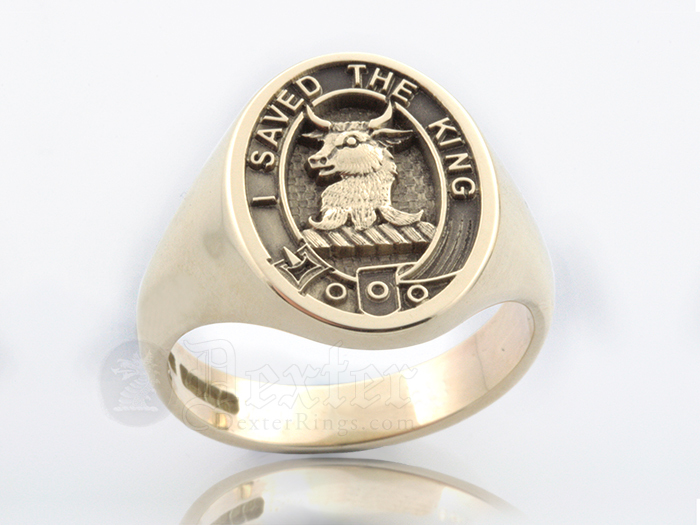 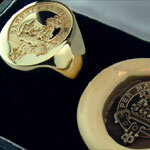 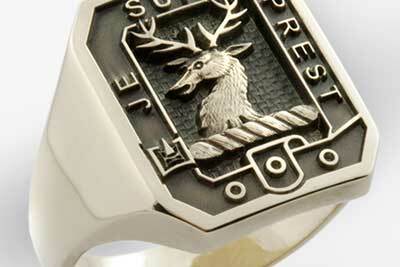 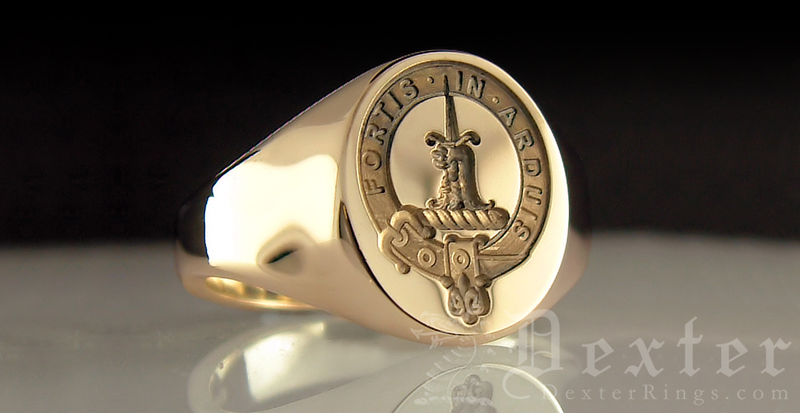 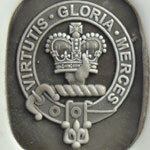 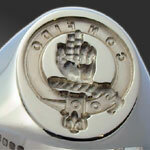 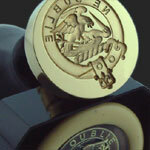 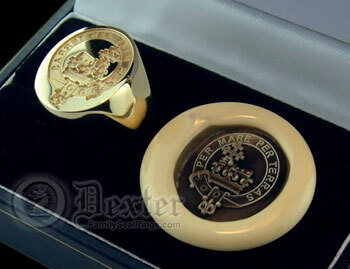 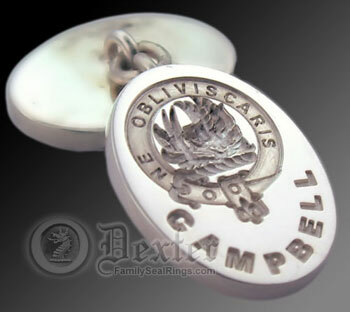 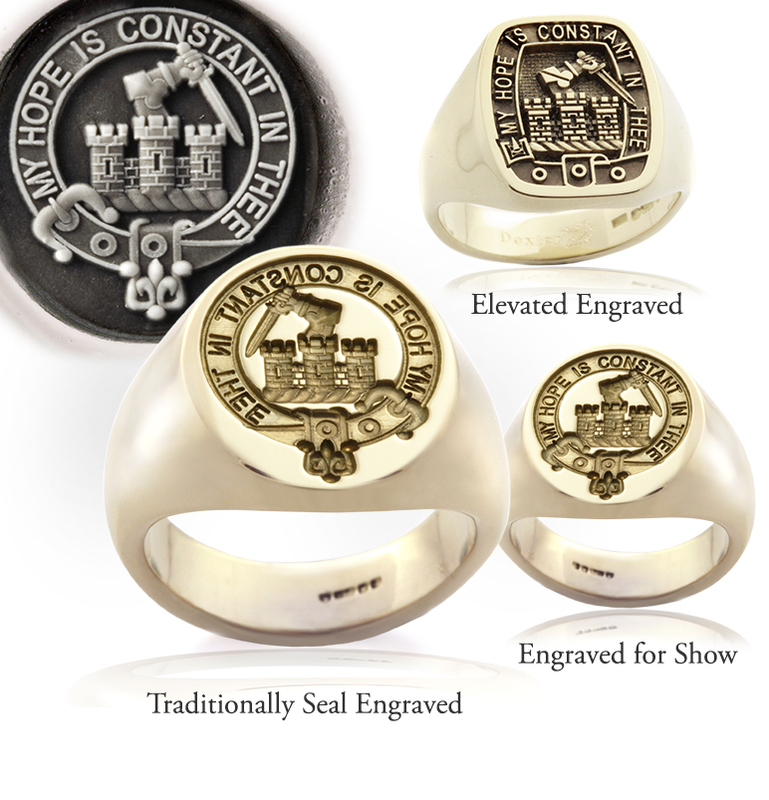 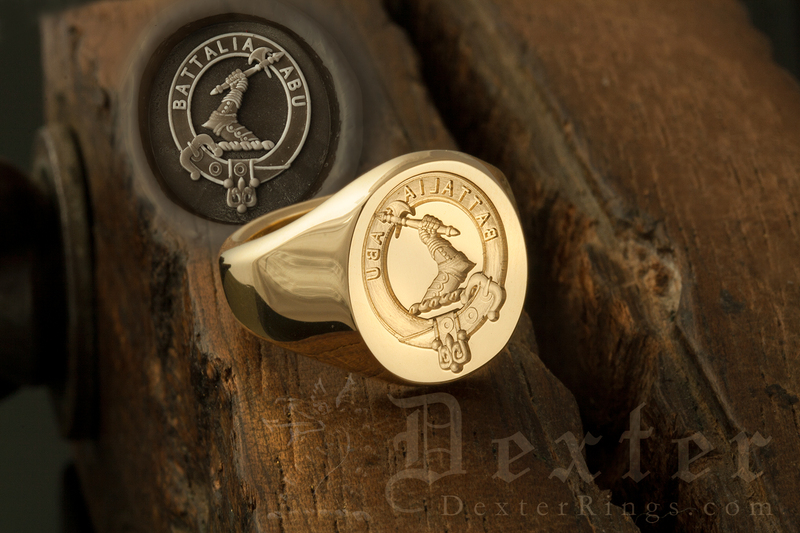 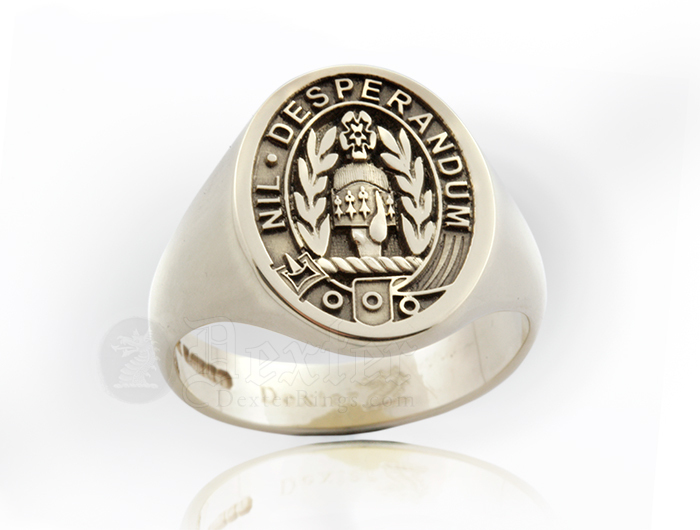 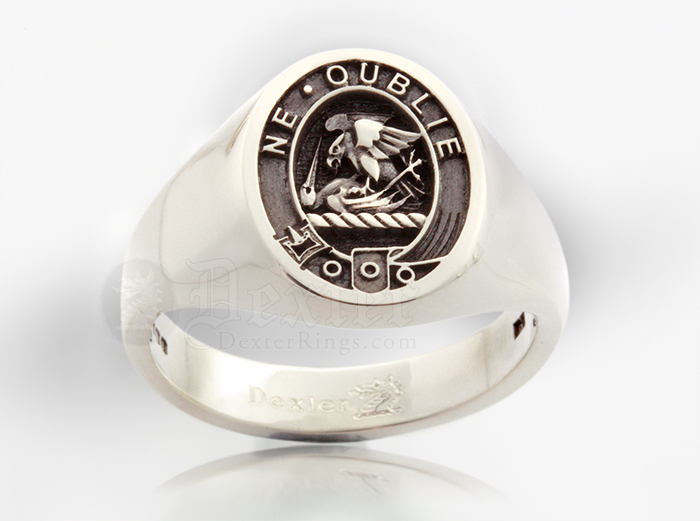 Any Scottish Clan Badge can be engraved onto the ring of your choice in a style you like. 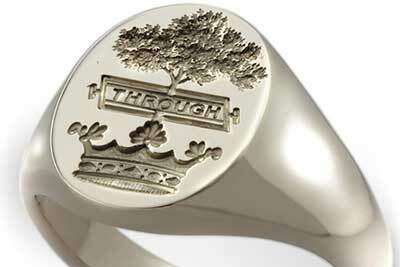 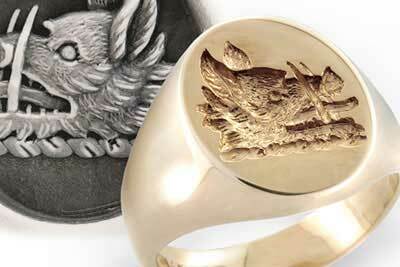 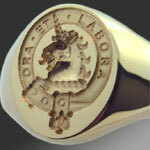 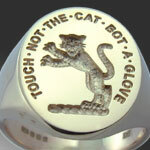 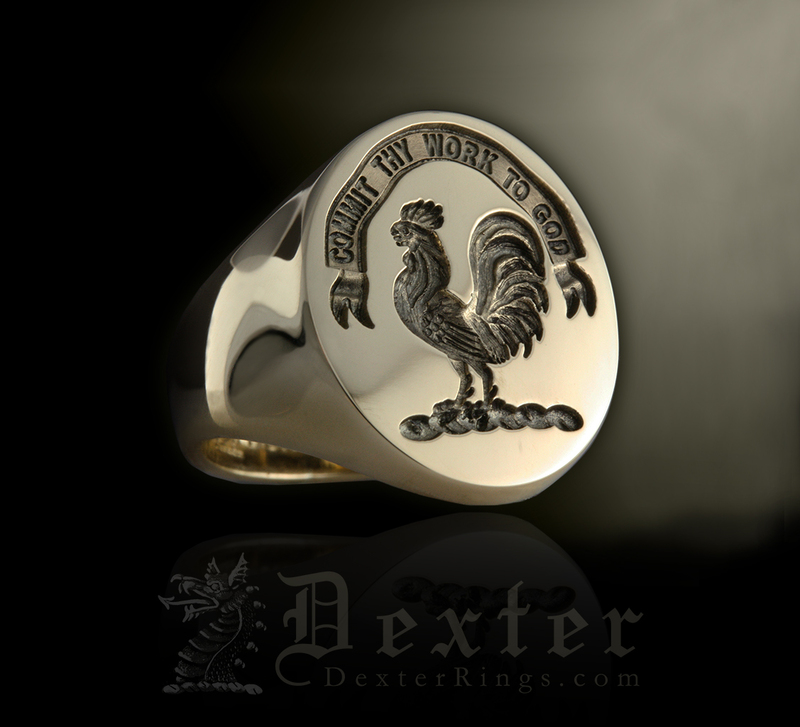 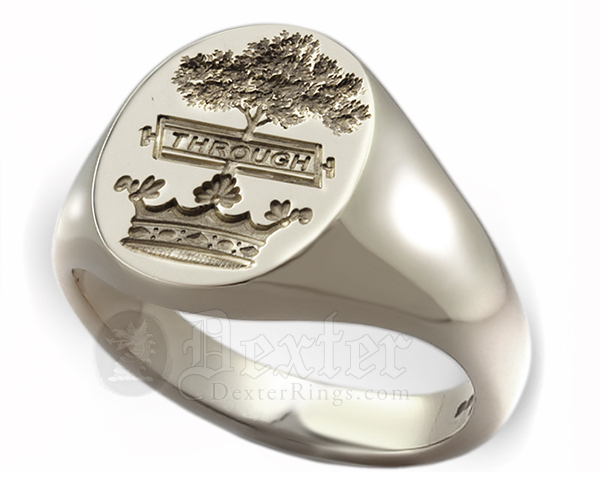 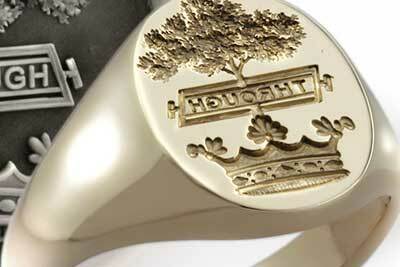 If the ring is not shown here we supply artwork prior to engraving your new ring. 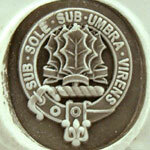 Please click images for more detail. 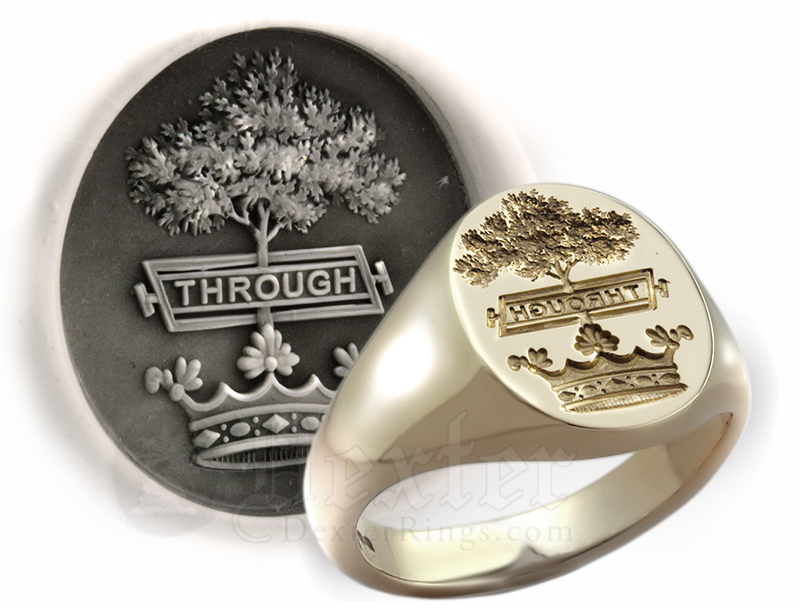 Left: SEE the hand crafted detail we achieve for yourself!